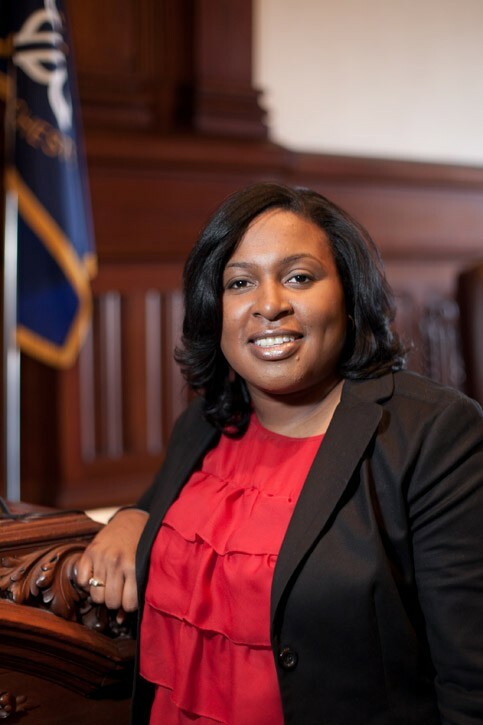 [UPDATED 7 p.m.] During Wednesday's meeting of east-side Democrats, City Council President Lovely Warren announced that she's running for mayor. Warren will hold a press conference on Friday morning. Incumbent mayor Tom Richards won two of the three committees by fairly significant margins. Richards and Warren tied in the 29th District, with 13 votes each. Committee members also heard from the 11 candidates running for five open seats on City Council: five incumbents and six newcomers. There are also two candidates for City Court, with two open seats. Original story: Here it is, folks. Word on the street is that Lovely Warren will announce her mayoral bid on Friday morning. If true, Warren, who is president of City Council, will run a Democratic primary election against incumbent Mayor Tom Richards. Warren hasn’t been returning calls all week. It may be to Warren’s advantage to bypass the committee process. If she didn’t do well with the committees — and Richards is a strong candidate — it could damage her going into the primary.